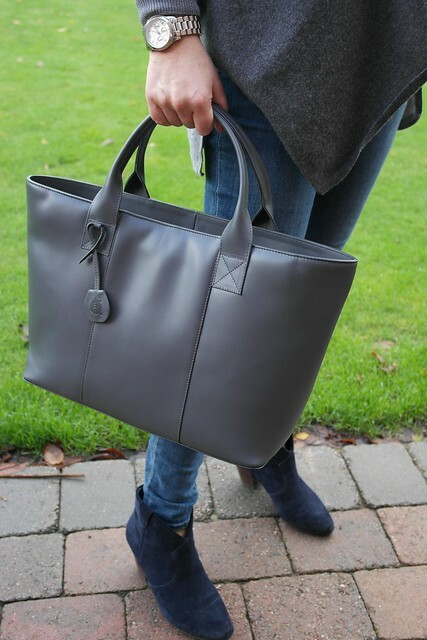 Then I was approached by Helen Bateman, a designer based in Edinburgh who is best known for her shoes but she has also designed two really stunning leather handbags for her collection, the Lila and this grey leather wonder - the Billy Bag. 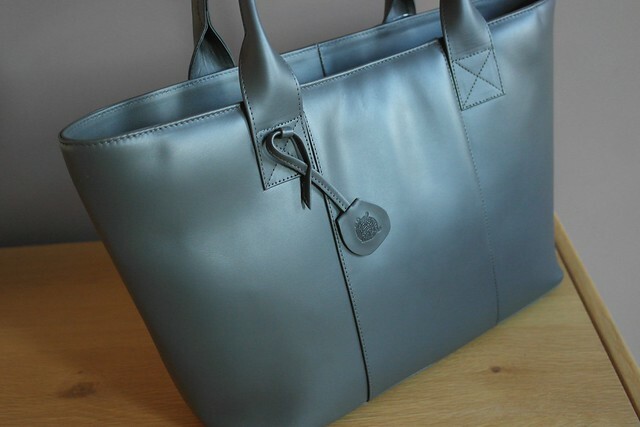 The Billy Bag is also available in lots of other colours....some of which make my grey look a bit dull but I've tried the bright coloured handbag and find that I don't use them as much as my grey, black or navy ones. And once you see the lining of this bag, you'll realise it's not one bit dull. These bucket style bags became popular when Zara introduced them a few years back but I never liked the zip-in liner they came with. This bag gives you all the benefits & style of a bucket bag but it's fully lined with all the pockets you need for smaller items so you won't be rummaging for them endlessly. The leather is an excellent quality and will improve with age. 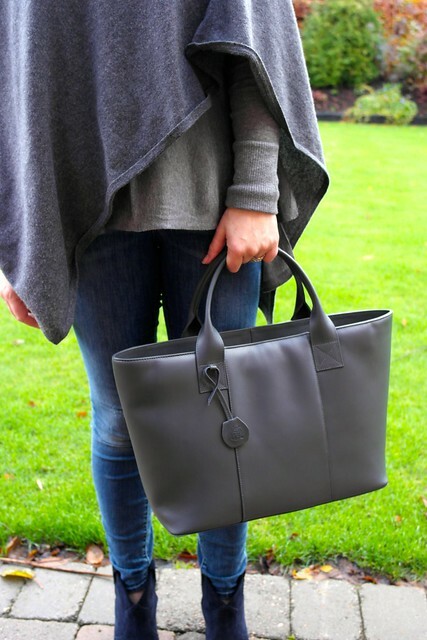 There are sturdy studs on the base also - a key requirement of a good tote! Given the number of bags I've bought over the years, I can happily stand over this in terms of quality. It's a lot of bag for your money and will most definitely stand the test of time. I put the Billy bag through it's paces all weekend. On Saturday, we went to the school open day and it was perfect for accommodating the 52 bits of plastic the kids bought as well as the 4 (yes 4!) boxes of tray bakes I bought from the cake stall (the mums at our school are amazing bakers). No plastic bags anymore thanks to the NI charge but I was ok - tons of room in the Billy Bag. On Sunday, it was the girls' birthday and we took a small group of their friends to the cinema and on to Pizza Hut afterwards. Once again, the bag was stuffed with wipes, tissues, plastic bags (in case of a Code Vom), candles, matches, cupcakes...etc etc. With room to spare. I've definitely gotten out of the way of a bigger bag in recent months but now my days are filled with site visits and house related shopping, I'm glad to have a larger bag with me to stuff all the brochures, paintbrushes, bags of nails and other randomness.. 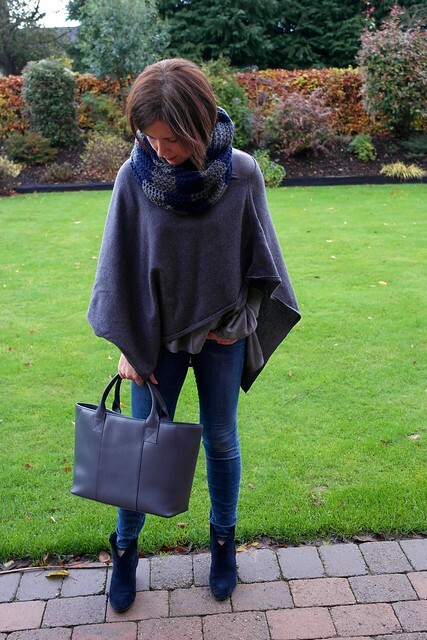 Thanks to Helen for gifting me this beautiful handbag and thank you for supporting the brands that support this blog. That bag is AMAZING, wowsers, I love it! Ooh I love both the shape & colour of this bang Avril. A real style straple that will last you for years to come. 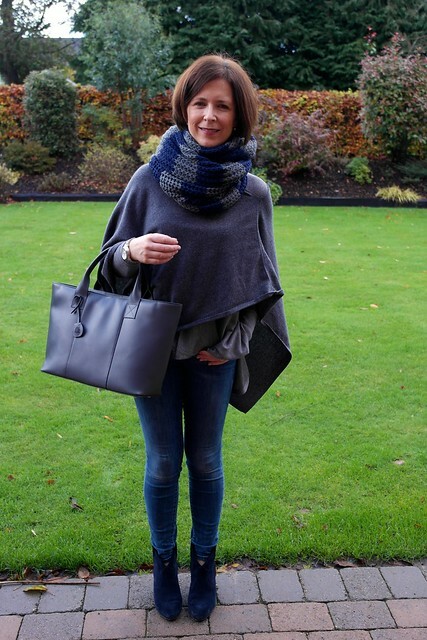 Gorgeous style and colour Avril....you will get great use out of that bag:) Hope the girls had a lovely birthday! That's a great bag Avril! I'm always a bit wary of bags that don't have a top zip though - could anyone just reach right in and grab something? 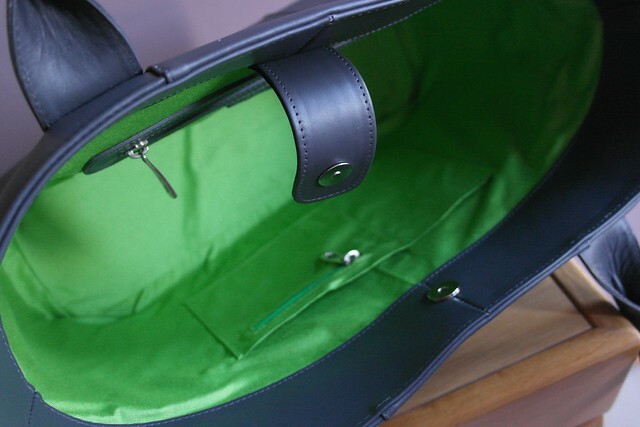 I wondered about that too, but having bought one of these in turquoise, I find the two zipped pockets are fine for my wallet, phone, etc and the leather tongue with the magnetic clasp keeps the top of the bag together and stops larger items like my laptop and work folder from lifting up into easy reach. I love Helen Bateman! It's a must visit shop in the west end. Her shoes are so comfy too, perfect for weddings and all day standing events with work! Outfit Update & Relocation Sale! WIN - a Helen Bateman Billy Bag!